On Tuesday, September 12th the Southport-Oak Island Area Cash Mob convened at the corner of Long Beach Road and Colfax Lane in Oak Island then proceeded to go on a “binge” at Color me Carolina. Local mobsters participated and supported this locally owned and operated small business located at 4143 Colfax Lane while taking full advantage of the “Cash Mob” specials only available during the event. members last night. What a perfect place to networking. Puppies, dogs, cats and kittens make a great icebreaker. The next time you are considering adding a fur "baby" to your family, please consider a rescue animal. A shout out to Mission BBQ for providing the meal - blew my diet but the mac and cheese was worth it! Business Connections is a benefit of being a member of the Southport Oak Island Chamber of Commerce-Welcome Center. No additional dues required and the benefits of attending are huge. Since January, the members attending Business Connections have referred and made sales in excess of $513,000. Wouldn't you like a sales force of 30+ people working for your business for the cost of your membership? Dosher Memorial Hospital's Wellness Center hosted the members of the Southport-Oak Island Area Chamber of Commerce for A Business Networking After Hours to celebrate the one year anniversary of the Dosher Wellness Center. 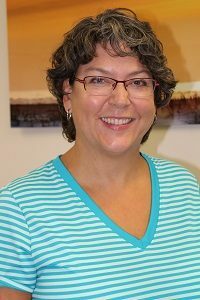 The Southport-Oak Island Chamber of Commerce is pleased to have Mitzi Swing join the team as Administrative Assistant. Mitzi will be based in the Chamber of Commerce office located at 4433 Long Beach Road, Southport, NC. Mitzi is a resident of Oak Island, having moved from the Winston-Salem, NC area in January of this year. Mitzi is a North Carolina native and spent her childhood summers on Wrightsville Beach in nearby Wilmington. Mitzi and her husband, Dusty, and their dog, Sally, can often be found hanging out on the beaches of Oak Island. Last night, The Chamber Members were out and about at the Olde Southport Village Shoppes and Southport Smokehouse for the August Business Networking After Hours.After enjoying a BBQ Pork Slider on the deck at the Smoke House the members visited shop to shop and enjoyed refreshments at every stop. Then there were all the door prizes... It was a fabulous event! We encourage you to stop in at the Village and check out the many shops and services offered - from retail shops to beauty and spa services to event and wedding planner. Check Out all the Photos from the evening.